India over the past decades has established a great culinary reputation globally. 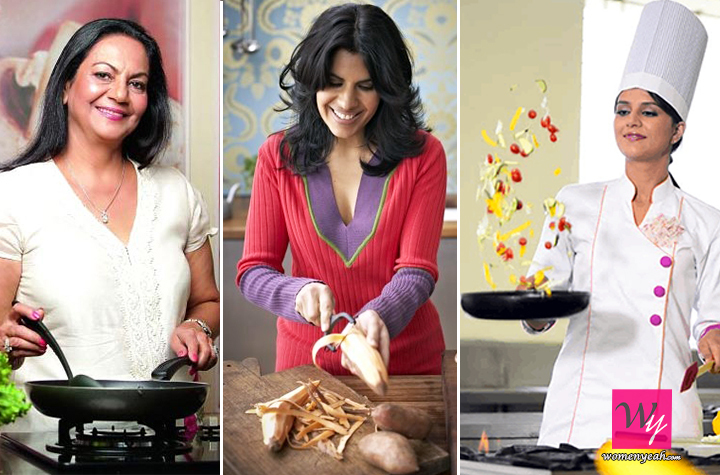 We got a lot of young women taking part in cooking shows on TV and have won it, thus creating their own shows. With their great camera angles, they leave you salivating. What all these women have in common, as you will find out later is, they all started off young and being passionate. No matter what biases they faced in the industry or at home they faced it with courage.They all believed in themselves and in their dreams. So if you want to hone your culinary skills further, I think this will help you impress yourself or parents/partners at home by watching these super informative cooking shows. Are you on a diet? Yeah, well then you can thank me later, I just found you a guru, Miss Anjum specialises in food for diet conscious people. 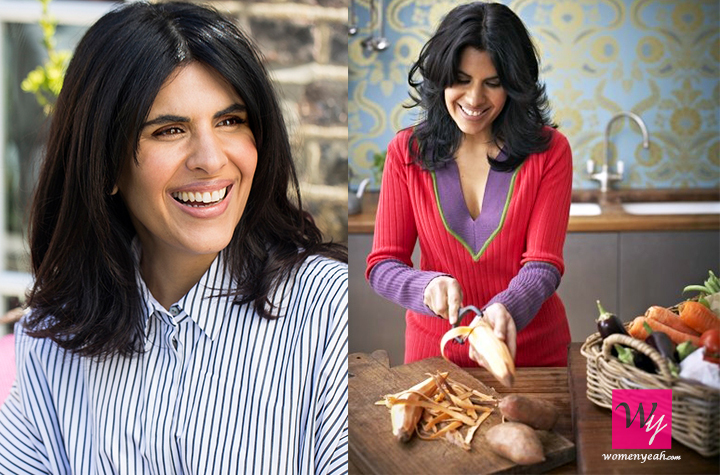 She herself is a huge fan of typical Indian food, and thus decided to make it easier for the youth to stay healthy. She uses less oil and healthy ingredients. Sounds simple, but she has mastered it.She loves cooking but before she starts her routine, she follows a strict workout in the gym to keep fit apart from cooking healthy food. Nita Mehta is a house name. She caters to the middle age women who after being busy rearing their kids, want to find time for themselves and start cooking again. 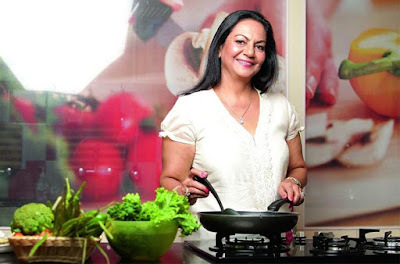 She has founded the largest publishing house for cookbooks in India. She has started her own “Nita Cooking classes”. Nita has published over 600 books with three of them winning international titles. Nita has developed created recipes by following old ones. She loves playing around with different flavours and giving a twist here and there. If your bored of your “mummy ka khana” ask mamma to buy this book to spice up your Ghar ka life. Trust me it works. Aarti Sampath always had a strong vision of what she wanted to do in life. And the best part is she did it. 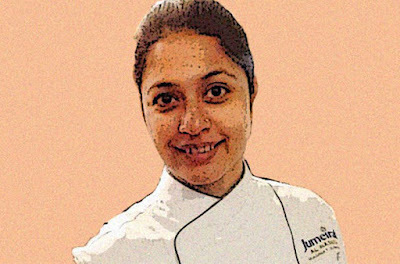 Aarti is now a successful Chef de Cuisine at Michelin-starred restaurant in New York. The restaurant Junoon is run by chef Vikas Khanna himself. 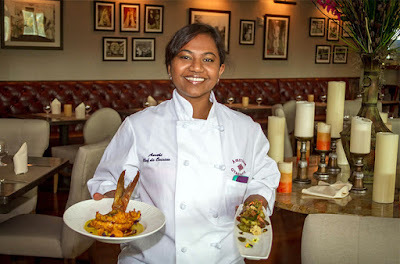 Aarti when she initially moved to the US in 2013, found her roommate hooked to a cooking reality show called ‘Chopped’. Intrigued she started watching it, and alter decided why not give it a short. It wasn't an easy process for her, as the style of chopping is very different from the way we chop our vegetables in India. Nevertheless, she never gave up and only worked harder towards her dream. 2015 was her break through her and she successfully became the first Indian women to have won the US-based reality show. Kamini is a chef at one of India’s most renowned hotels, ‘Oberoi’. Most well known for the way she cooks Tandoori chicken. I mean, if you don't believe me google it. Every website mentions that tandoori is her speciality dish. Makes me drool too! Yet another early bird we have who entered the kitchen at the tender age of 10. She loved cooking in her free time and decided to take it up as a career later on in life. Shipra a single mom, a foodie and a huge passion for cooking, decided to make her dream come true by participating in Masterchef India Season 2 in 2012. Who knew, she would win the show and start her own cookery show as well as she has her own YouTube channel. Shipra has always loved food and has been inspired by her grandmother and her mother. 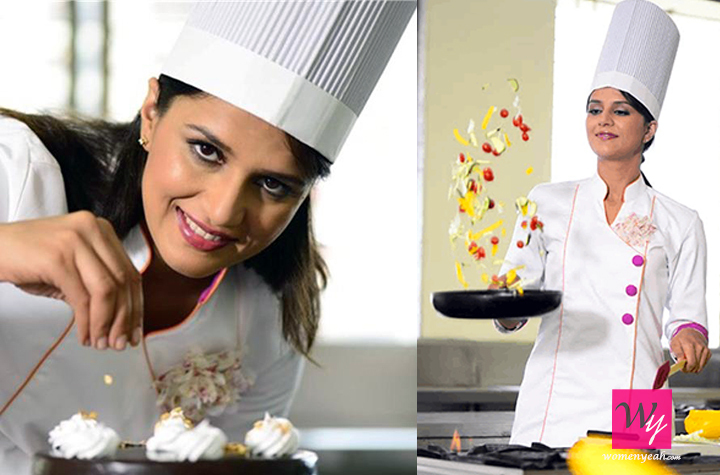 Shipra always itches to try new flavours, which came true with her winning the Masterchef India as she got an opportunity to travel the globe, to different countries like Singapore, Switzerland, Australia, Britain, the Mediterranean. Eleanor Roosevelt - “The future belongs to those who believe in the beauty of their dreams”.